Just when you thought the worlds best keyboard couldn't get any better, it jumps to the next level. 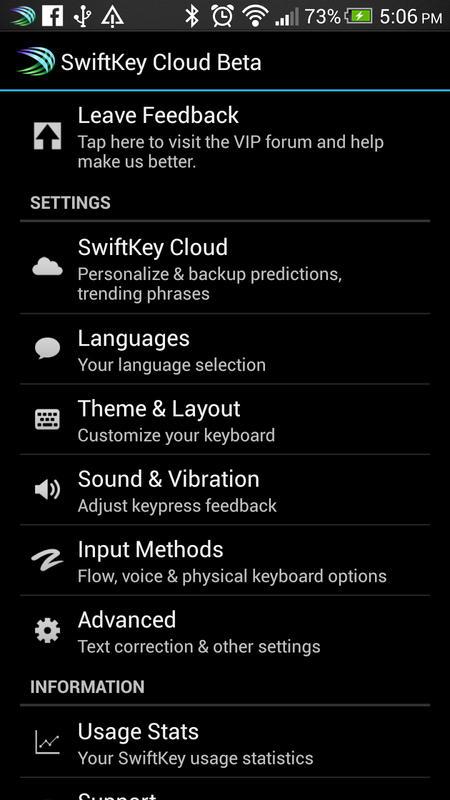 SwiftKey Beta Updated to include Could Sync for your personalized predictions and all that time you spent correcting SwiftKey to fit your personal style like a glove. 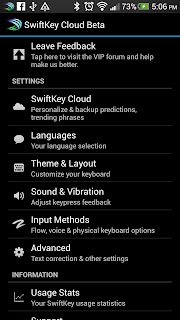 For a person like me who's always bouncing from Rom to Rom and Phone to Phone, it's amazing to find out Swiftkey's predictions will follow me now. Swiftkey ties into your Google Account, so all your devices using the same account will all sync together like one happy family, now isn't that cool? You can easily download the Swiftkey Beta for yourself, simply head over to http://beta.swiftkey.net and lets the games begin.